ROCKFORD, Illinois – Klehm Arboretum & Botanic Garden announced today that Dan Riggs has submitted his retirement letter after nearly six years as Klehm’s Executive Director effective June 8th, 2018. In his letter to the Klehm Board of Directors, Riggs said he will be stepping down to retire and pursue personal interests. “It has been a privilege to serve as Executive Director of Klehm, the organization is on firm footing and making plans for the future”, said Riggs. “Klehm is positioned as the gateway to downtown for any out of town visitor, the improvements to South Main Street and exciting developments in downtown are all pointing for a bright future and exposure for Klehm, Rockford’s “living museum”. Riggs has been the Executive Director since January 15, 2013. In that time he has coordinated the America in Bloom participation by the city of Rockford, spearheaded the development of the Garden Pavilion & Terrace at Klehm for outdoor functions and receptions in the gardens and improvements to the Nancy Olson Children’s Garden to be ready this summer. Klehm Arboretum & Botanic Garden’s President of the Board, Nancy Lundstrom said, “Dan’s experience with natural resource and facility management from a 33 year career with the Illinois Department of Natural Resources was a great match for Klehm to stabilize operations, recruit new volunteers and work with the Board to accomplish strategic objectives to better position Klehm for the future”. Klehm Arboretum & Botanic Gardens has formed a search committee to look for the next Executive Director to continue the progress enjoyed at the Arboretum. The Executive Director position is posted on Indeed.com. 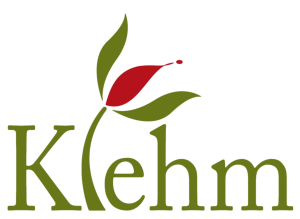 Klehm Arboretum & Botanic Garden is a private, 501(c) 3 not-for-profit, membership based organization and is supported through membership dues, donations, sponsorships, grants, fundraisers and subsidies in partnership with the Forest Preserves of Winnebago County. Klehm’s mission is to maintain a living museum for the enjoyment, education and inspiration of all people.